Although some people still regard self-employment as an inferior alternative to conventional work arrangements, figures show that the first option is slowly becoming more popular among professionals from all over the world. 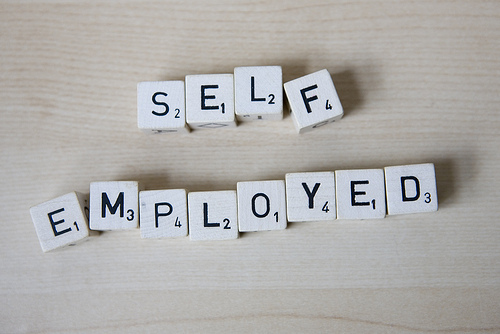 According to OECD statistics, almost 18% of the workers in the world’s most developed economies are currently self-employed. In emerging economies, a significant number of those who fall in this category are individuals who struggle to leave the shadow economy and arrange a standard worklife. The situation is much different in advanced economies, where self-employment usually goes hand in hand with creative individuals who choose to participate in the jobs market with more freedom and flexibility. South Korea and Italy currently have more than 25% of their workforce registered as self-employed. Portugal and Spain come next, at 21% and 18%. Ireland, with 17%, and the Netherlands, at 16%, are other developed countries where self-employment plays a significant role in the economy. Other nations have smaller rates, yet they also show that things are changing. For instance, self-employment in the UK is at the highest level in history, according to the ONS. In the US, the recession has taken a toll on the total figures, but 10 million individuals still report their jobs under this category. The beauty of crowdsourcing is that self-employed workers can compete with other professionals that may have a full-time job but are willing to take part in an exciting innovation tournament where they can further their knowledge and earn money prizes as well as recognition. At Ennomotive, we believe that talented people reach their potential when they are able to develop their creativity with few restraints. That is why we want self-employed professionals to join us and be part of the crowdsourcing revolution!